In the first part of this blog series, I introduced the different types of fats, explained some of the reasons why fat is NOT bad for you, and gave some general guidelines for how much fat to consume. In this second part of the blog, I am going to dive deeper into the subject of Omega-6 and Omega-3 fats. I’ll show you why these two fats are so important and how an imbalance of these fats is likely one of the major reasons for the epidemic-level inflammation that exists in this country. In order to really give you a good handle on this, I need to explain a little about Omega-6 and Omega-3 fatty acids and also talk a bit about Prostaglandins. I’ll try to make it as easy to read as possible and you might even find it fascinating even if you don’t care much about the science. You really don’t need to get all tangled up in the science. I am not going to go too deep into the science here, but I will mention a few things that might make your eyes gloss over if you’re not into that stuff. You don’t have to know any of it. It’s just there to be thorough for the folks that geek out on that stuff (like me). Omega-6 and Omega-3 fatty acids are polyunsaturated fatty acids named for the location of the final carbon-carbon double bond in their structure (which makes almost no difference to our discussion, so don’t worry about it). Omega-6 fatty acids have the bond in the “n-6” position and, as you might be able to guess, Omega-3 fatty acids have the bond in the “n-3” position. There are two main fatty acids that are known as “essential fatty acids” or EFAs. One of them is an Omega-6 fatty acid and the other is an Omega-3 fatty acid. They are known as essential because the body cannot make these fatty acids from other substances. In other words, you have to get EFAs from the diet. There are other fatty acids that are considered “conditionally essential” because they can’t be formed in the body without the presence of certain other cofactors that also must come from the diet.  Linoleic Acid (LA) is the EFA from the Omega-6 family.  Alpha-Linolenic Acid (ALA) is the EFA from the Omega-3 family. You can think of Prostaglandins as hormone-like substances that are made from fats. When you eat and properly digest fatty acids of different types, some are converted into prostaglandins. Prostaglandins are essential to the body and are found in nearly all body tissues and fluids. Among other duties, they assist in the healing process throughout the body by inflaming and anti-inflaming in a balanced fashion (normal process). They can, however, get out of balance and produce too much inflammatory prostaglandin without enough anti-inflammatory prostaglandin available (more on that in a minute). The three major prostaglandin formations are known as PG1, PG2, and PG3. You’ll see the formation process in the chart below.  PG1, the most potent anti-inflammatory prostaglandin, is formed from Omega-6 fats through a series of “conjugations” as shown in the chart above. The process can start from Linoleic Acid (LA) sources – where we get most of our Omega-6 intake, or it can start directly as GLA from sources like black currant seed. Remember from the overview above that LA is “essential” because you can’t form it in the body. From this chart, you can start to see this a bit more clearly. LA has to come from the diet, but GLA can come from the diet (Black Currant Seed Oil as an example) OR you can form GLA from LA. You might also notice in the chart above that there is a bridge to the PG2 formation chain from the PG1 chain. We’ll talk more about that in a minute as it is VERY important.  PG2, the pro-inflammatory prostaglandin, is formed primarily from saturated fat sources by first converting to Arachidonic Acid (AA).  PG3, the second anti-inflammatory prostaglandin, is formed from Omega-3 fats either from ALA sources or more directly from fish oils. In order for prostaglandins to form from the fats you eat, you need things like proper digestive function, certain enzymes, and proper liver function. To properly control the inflammation process, the body needs BOTH inflammatory and anti-inflammatory functions. Many think of PG2 as the “bad” prostaglandin (possibly another reason that saturated fat seems bad), but it’s actually essential and necessary to proper function of the system. When the system is working properly, first it will inflame the damaged area and then it will balance with anti-inflammatory. The following things inhibit the formation of certain prostaglandins. Stick with me here.  NSAIDS and Aspirin – Interestingly, anti-inflammatory drugs (NSAIDs such as Advil) work by shutting down the formation of PG2 (pro-inflammatory) by blocking the enzyme needed for conversion of the fats. When you take an NSAID, your body can’t make the inflammatory prostaglandins and so you get relief from inflammation. The problem is that NSAIDs also shut down the production of the anti-inflammatory PG1 and PG3. So, when you take an NSAID, you block your body’s ability to inflame and anti-inflame on its own.  Alcohol – PG1 and PG3 production (the anti-inflammatories) are inhibited by alcohol but PG2 production (pro-inflammatory) is NOT. That’s why you get a headache when you have a hangover! Only the inflammatory is working. So, what do we do? Take NSAIDs and shut down the PG2 production! Next time, try a little fish oil because it blocks PG2 production and is a building block for anti-inflammatory PG3!  Sugar – Indirectly, sugar can inhibit PG1 formation. I say indirectly because it’s not really the sugar that blocks PG2 formation. Rather, when there is too much insulin, the body converts some of the fats in the PG1 formation chain over into Arachidonic Acid, which is in the PG2 (pro-inflammatory) formation chain (see the red arrow in the prostaglandin formation chart above). This is a key point. The increased use of refined carbohydrates and sugars in the diet can cause Omega-6 fats to convert to inflammatory prostaglandins rather than anti-inflammatory prostaglandins. That’s a HUGE deal in light of the standard diet in America.  Trans Fats (avoid at all costs) and Steroids are also inhibitors of prostaglandin formation. If this is getting a little jumbled and you’re not sure where I am going with this, just stick with me a bit longer and I’ll tie it all back together. The ratio of Omega-6 to Omega-3 oils in our diet is one of the places that the standard American diet is way different than it used to be. Our Omega-6 consumption is significantly higher than our Omega-3 consumption. The ideal ratio is believed to be around 1:1 but many will say to shoot for no higher than 4:1. It’s likely that our ancestors consumed a diet that gave somewhere around a 1:1 ratio of Omega-6 to Omega-3 fats. This ratio has steadily increased in the diet since the introduction of the low-fat diet. Vegetable oils high in Omega-6s have been overconsumed and the fat profile of our meats have changed (see below) resulting in a ratio of anywhere from 10:1 to 20:1 on average in America today. To make it even worse, many of the forms of Omega-6 that we consume are highly processed vegetable oils that go rancid easily and are not even viable to convert efficiently anyway. Why is this important? Here’s the piece that ties it all together: Omega-3 and Omega-6 fatty acids compete for the same conversion enzymes. If you have too much Omega-6, it may “hog” the enzyme pathway and make it difficult for your body to convert the essential Omega-3 fatty acid (ALA). So, it’s thought that eating way too much Omega-6, even if you have a good amount of Omega-3 fats, could still be an issue. Whoa! OK. Let’s see if we can make this a little more clear. Low consumption of Omega-3 fatty acids results in insufficient PG3 production. Omega-6 fatty acids from rancid, processed sources cannot be efficiently converted to PG1 (and cause many other problems). Consuming too much sugar results in insulin spikes and diverts the PG1 formation process over to pro-inflammatory PG2. Linoleic acid (the essential form of Omega-6) and Alpha-Linolenic Acid (the essential form of Omega-3) compete for the same conversion enzymes and may inhibit each other. So, a diet with too much sugar, an abundance of Omega-6 fats, and insufficient amounts of Omega-3 fats results in not enough PG1 and PG3 and an overabundance of PG2 likely causing chronic inflammation in much of the population. What does all of this mean? What do you need to do? Reduce the amount of fats you get from heated, rancid vegetable oils such as canola, corn, and other vegetable oils. Get your Omega-6 fats from living, viable sources (see below, green tier sources and unheated yellow tier sources). Reduce your sugar and refined carbohydrate intake so you don’t spike your insulin. Practice other ways to keep insulin spikes from occurring such as eating protein and fat whenever you eat a simple carb like fruit or grains. Increase your Omega-3 intake (especially from fish and/or fish oil – see below). If you follow those simple suggestions, you’ll be able to convert your healthy Omega-6 sources to powerful anti-inflammatories without diverting as much over to pro-inflammatory and the increase in Omega-3 fats will produce additional healing anti-inflammatories. I mentioned increasing your Omega-3 intake from fish oils specifically because, as you can see on the prostaglandin formation chart, it has Omega-3 fats in the form of EPA already. So, it does NOT compete for conversion enzymes with Omega-6 fats. It doesn’t require the conversion from ALA before making the anti-inflammatory PG3. For this reason, I’m an advocate of increasing your fish oil intake either by eating wild caught fish 1 or 2 times a week or by supplementing with a quality fish oil supplement with plenty of EPA percentage. As a sort of side note here, I think it’s a good place to mention grass fed beef. I think I’ll write a whole blog post on grass fed beef in the near future and I’ll link it here when I do, but for now, I just want to mention that the fat profile of grass fed beef and grain (corn) fed beef is actually quite different. As it turns out, when you feed cows corn, they have way more Omega-6 in their fat than if they eat grass. The oil in corn has an Omega-6 to Omega-3 ratio of about 46:1. So, corn fed beef actually becomes another Omega-6 source for us. Grass fed beef has more Omega-3 fats. 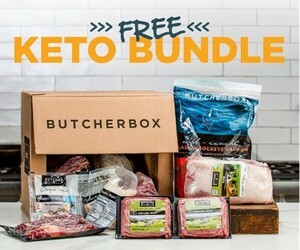 If you decide to switch (I’m doing Butcher Box right now – affiliate link) make sure you look for grass fed, grass finished beef. Sometimes they will grass feed but then fatten on corn before slaughter. On the 3rd part of this blog, we’ll be breaking down all the different types of fats you can cook with as well as the ones that you should not cook with, but for now, I wanted to give you a list of some of the sources of Omega-6 and Omega-3 fats. These are not exhaustive lists but they represent the most common sources as well as a few viable ones you may not usually use. NOTE: Canola Oil and Corn Oil are two that are on our yellow tier but they are about as close to the red tier as they can get, if that makes sense. I wouldn’t choose these as a source at all given the other possible sources available. All of the oils listed as yellow tier should be used sparingly and, as we’ll discuss in part 3, are best if not heated due to oxidation/rancidity. This is excellent! Thank you for both parts! Where does coconut oil land on the tiers?